Happy Independence Day! I hope you are celebrating and part of your party includes dessert! I’ve found 10 of the best July 4th recipes for you to make and enjoy. And if you are invited to a picnic or party ask to bring dessert and make it one… or two… of these delicious patriotic creations! YUM! That’s how to describe these amazing desserts! Our sour cherry tree had a banner year this year. This is my favorite way to use them. The little individual pies are scrumptious and the presentation is a crowd pleaser! 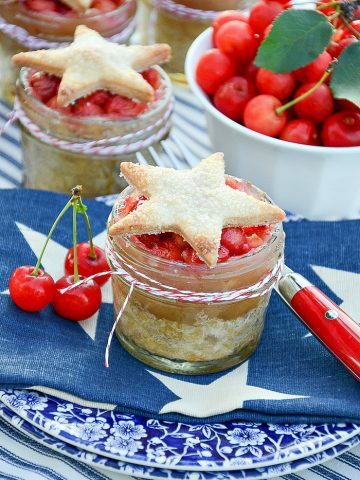 Click CHERRY PIES IN JARS WITH STARS to see the recipe. 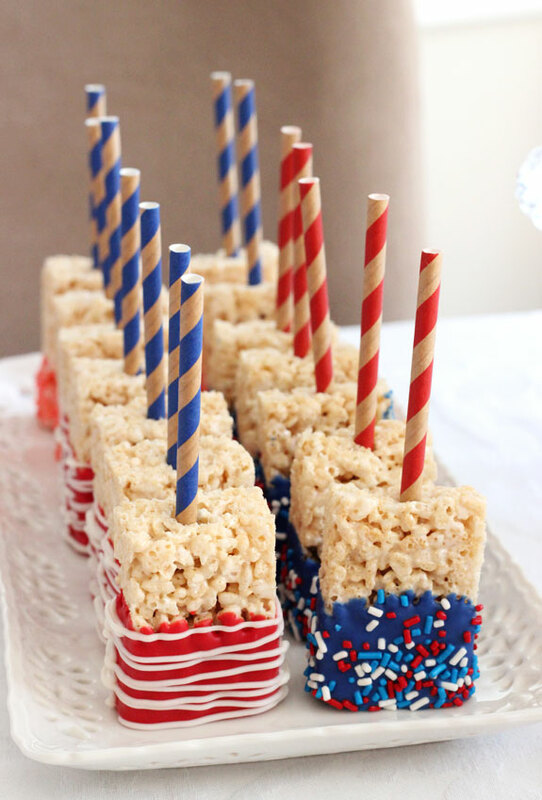 Who doesn’t love Rice Krispie Treats! And the look amazing dressed up in red, white and blue! See the recipe at LIFE, LOVE AND SUGAR. What a beauty of a cake! 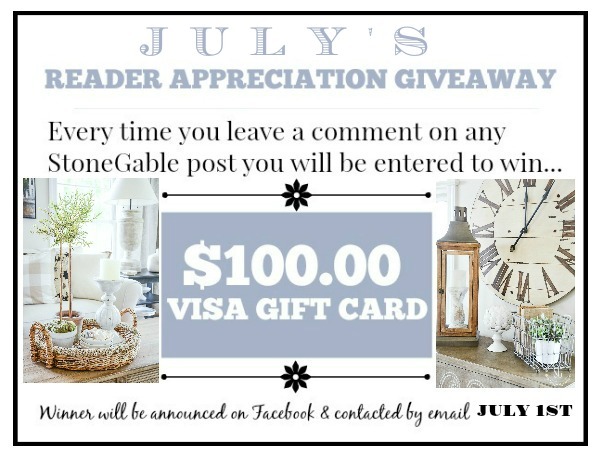 Just perfect for a picnic celebration! 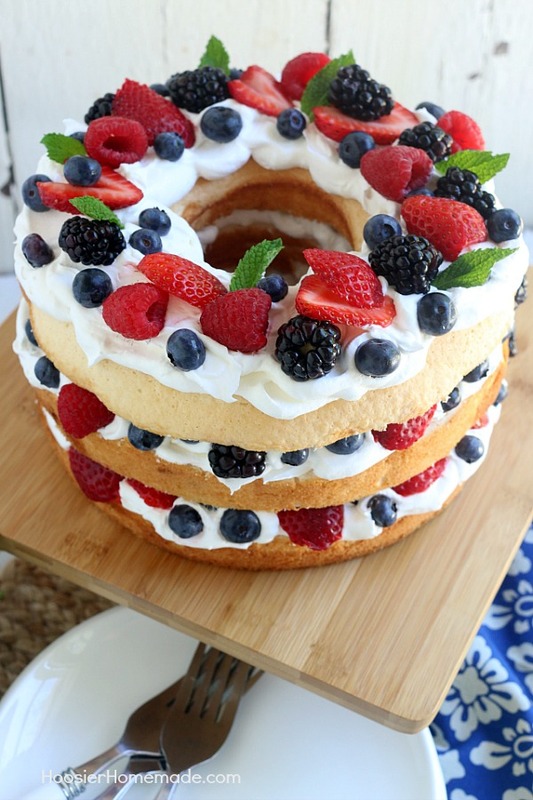 See the recipe for Angel Food Cake With Berries at HOOSIER HOMEMADE. 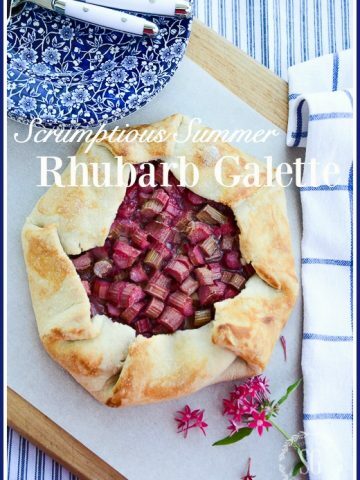 I love all things tarts and galettes. This fresh strawberry tart is easy to make too. 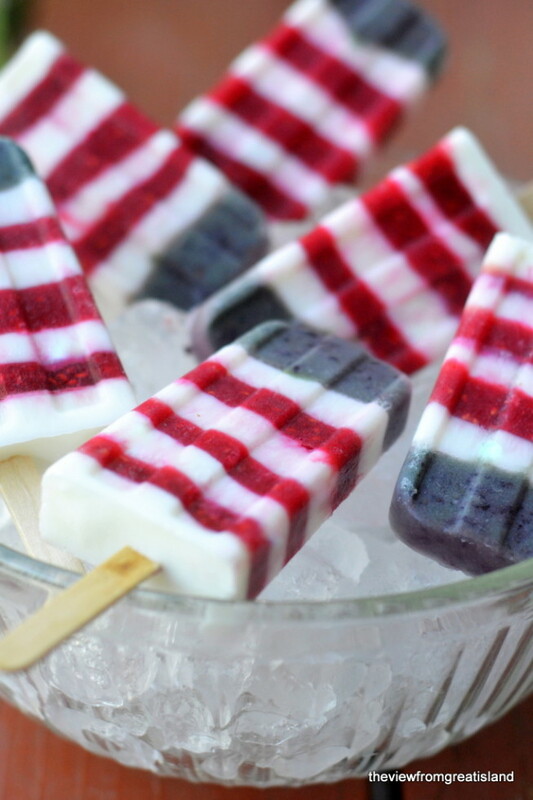 Just add a few blueberries for a more patriotic look. 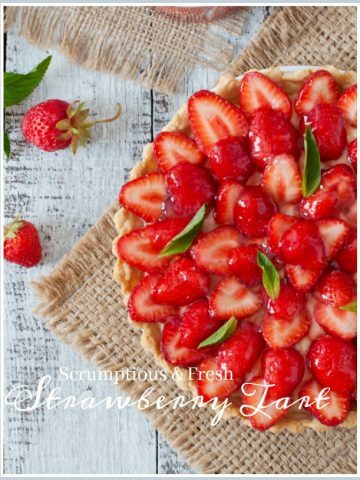 See Strawberry Tart HERE. 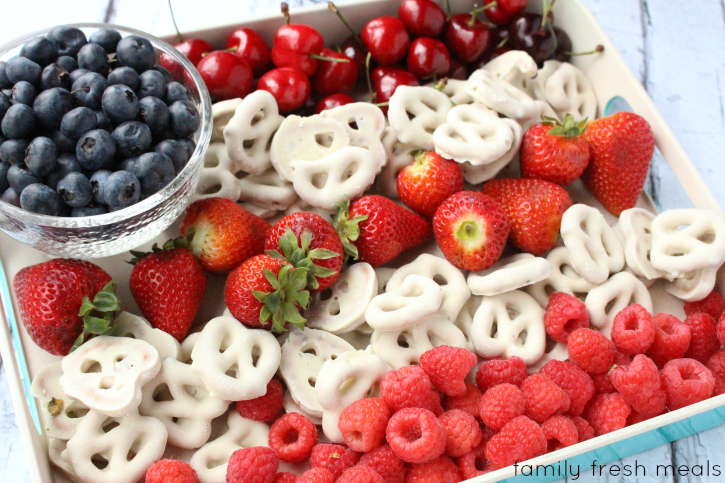 This easy dessert is not only fun and patriotic but it is healthy too! What a great option for a frosty dessert. Find the recipe at FAMILY FRESH MEALS. 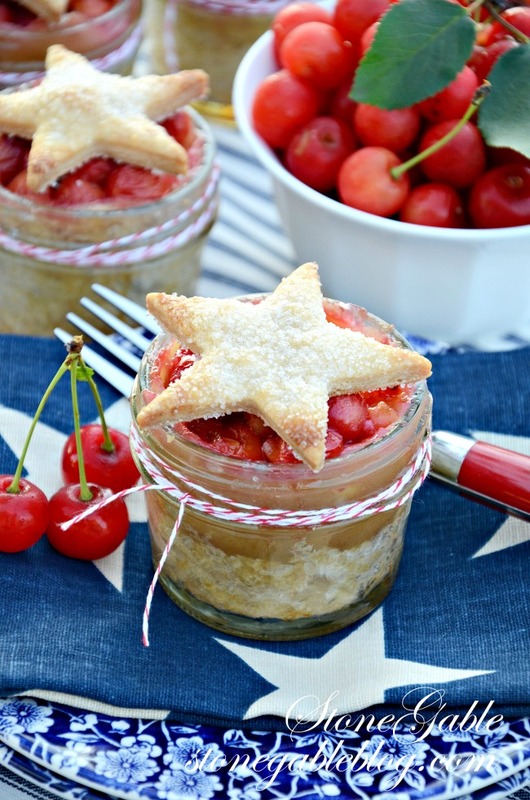 I think this July 4th dessert idea is so adorable! I am going to try this myself! 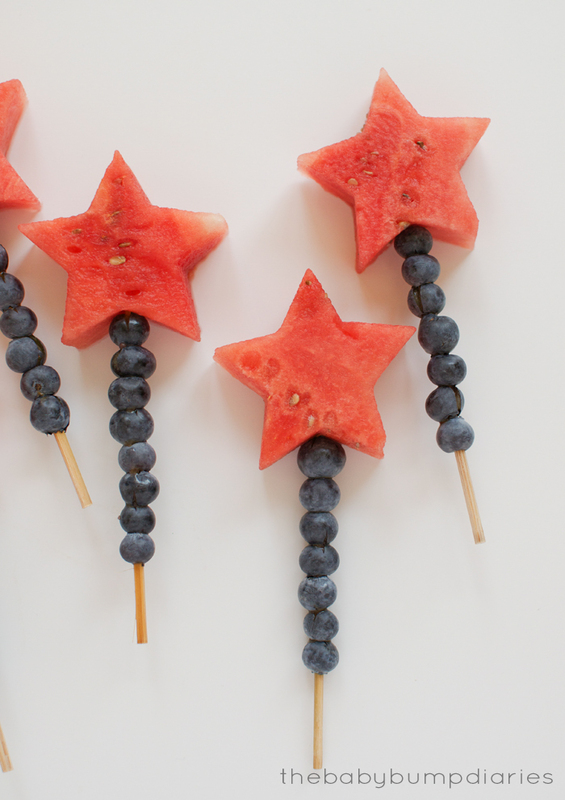 You can find Forth Of July Fruit Kabobs at THE BABY BUMP DIARIES. 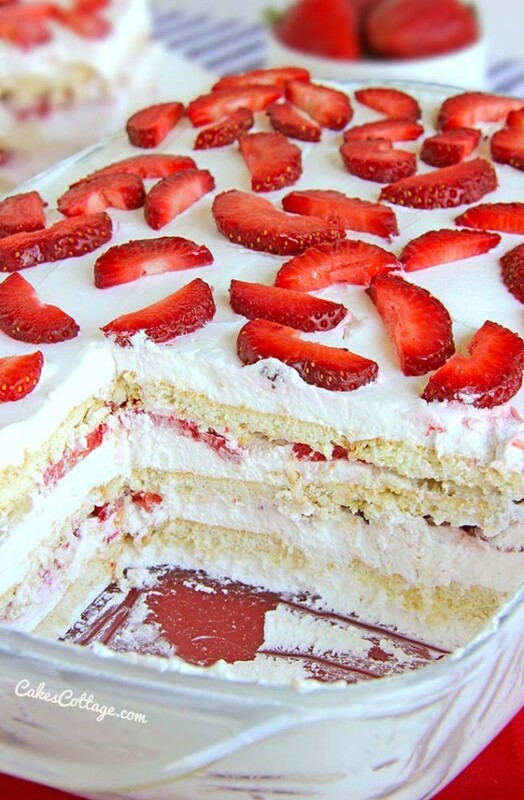 This dessert can be made ahead and put together just before serving! I love a make ahead recipe, don’t you? 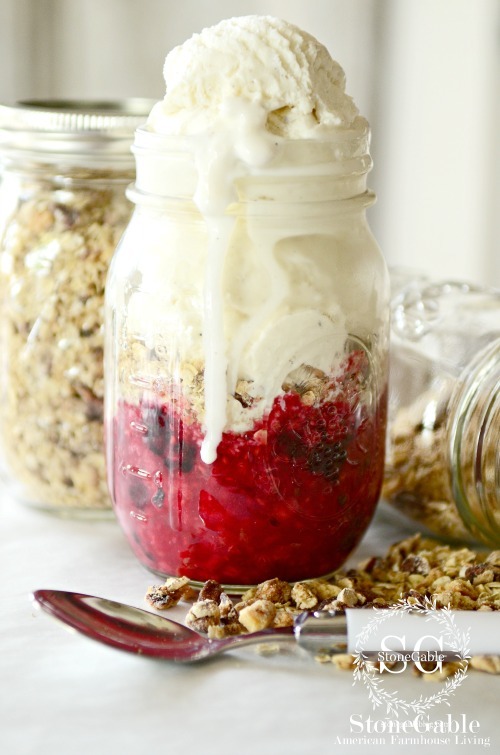 You can find the recipe for Berry Fruit Crisp In A Jar HERE. How could we leave out chocolate? This Blackout Chocolate Cake is from one of my go-to sources for delicious recipes, PINCH OF YUM. I think this cake is a little more than a pinch, don’t you? 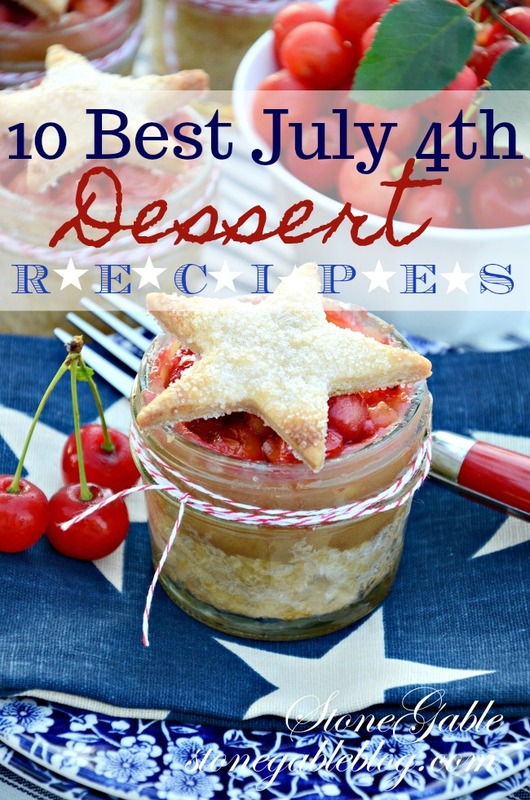 I hope I’ve stirred up your sweet tooth and given you some great ideas for your July 4th celebration! You might like to follow me on Pinterest and see over 2,000 recipes on my FOODIE FUN board! Where did you get red flatware shown in your 4th of July table scape. Thanks. Love all you tablescape designs as well as decorating ideas. Thanks. Hi Charlott, I found it at HomeGoods! 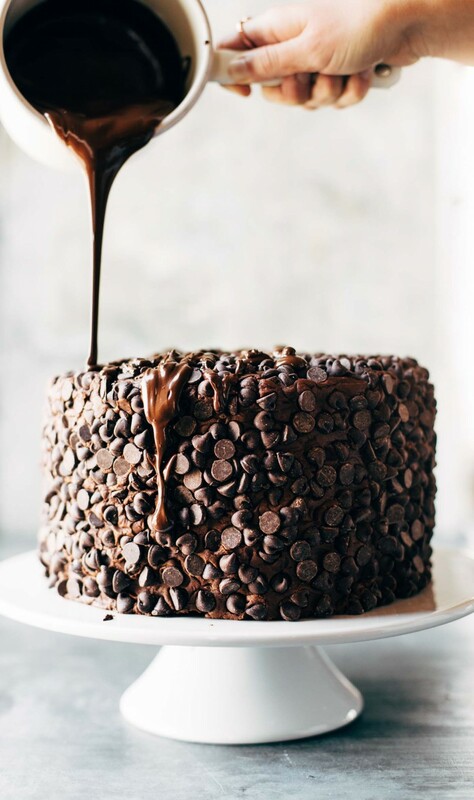 Oh my word; that chocolate cake looks beyond rich! I’ve made your strawberry tart and it’s delicious. Wow those deserts look so good, I might try to make the angel cake. That one looks really good. Great recipes! I am going to make the Strawberry Tart for our 4th of July cul de sac party! They all look mouthewateringly delicious!! Have fun celebrating!